Why not! I've told you long time before : My passion to grow bonsai trees has determined me to continue my project to make a bay laurel (Laurus Nobilis) bonsai. 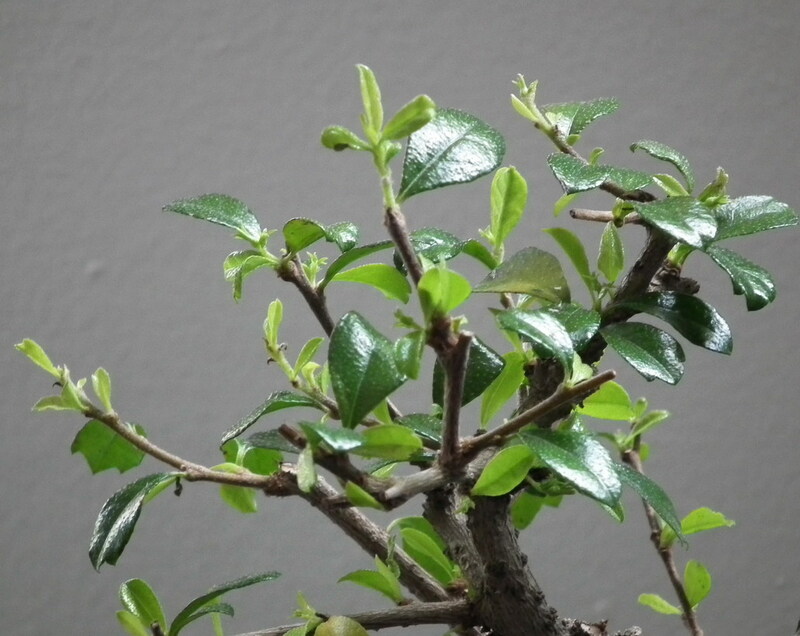 My laurel is special to me because it is a tree which stays green no matter what weather is: if is rainy climate (like in Vancouver); if is grown in the sunny days of the Mediterranean climate (like in my native country), or if is kept indoor for winter months. And its aromatic edible leaves are a mix of highly fragrant and spice notes of cinnamon, cloves, nutmeg, lemon and vanilla which I love to use in my recipes. At these, I added the tradition: it is the symbol of prosperity, creativity, determination and triumph over life adversities since ancient times, being one of the most present trees in classical mythology; the therapeutic properties: antiseptic, to stimulate healing, to reduce pain in muscle spasms and migraine; and it was a very pleasant scented companion in all my life that followed me wherever I went. 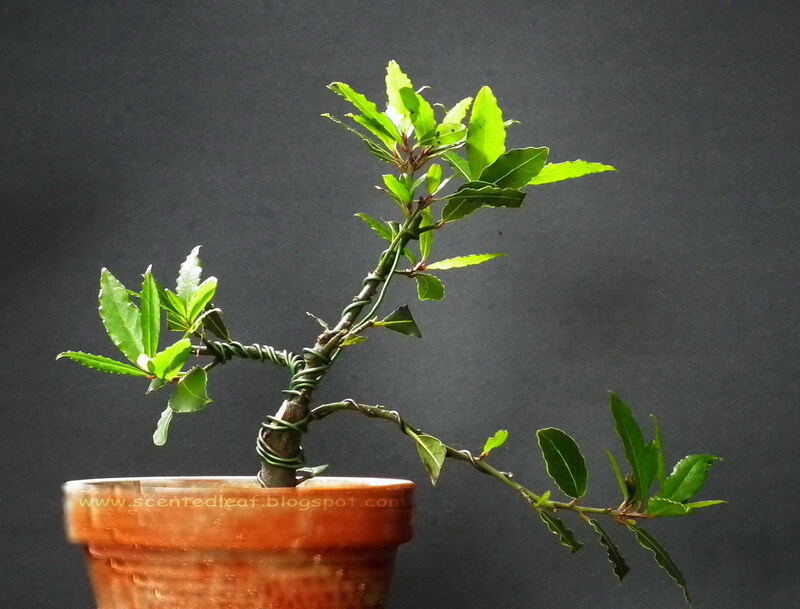 The big Bay Laurel (Laurus Nobilis) bonsai evolved and in spring was re-potted in a bonsai pot which complements the trunk form and is a suitable size and shape. 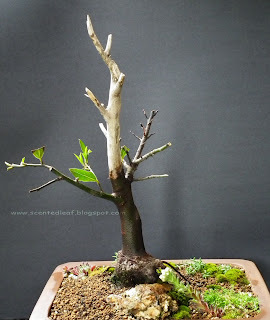 When we dug up, we trimmed its roots and carved a little bit its trunk. 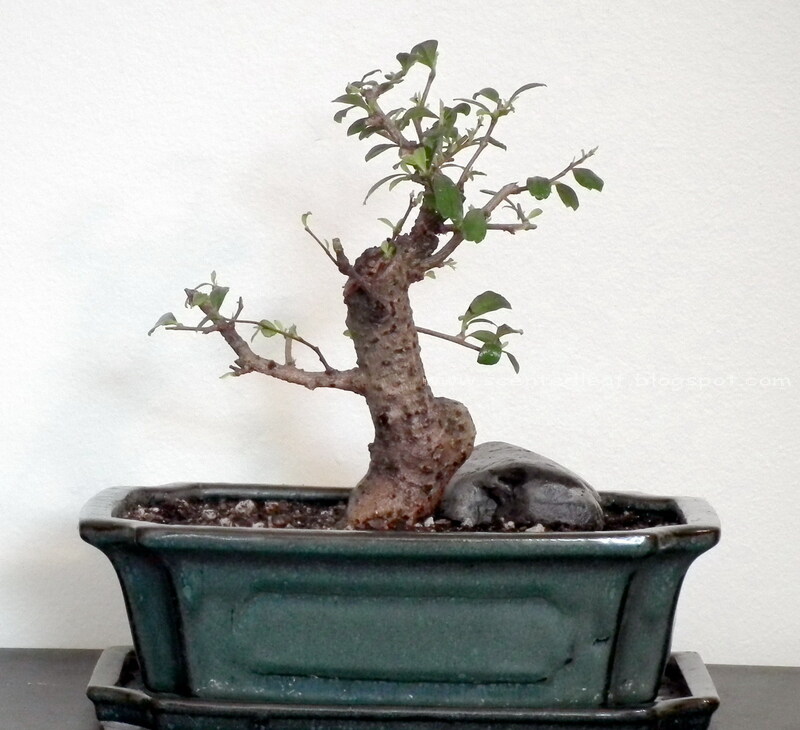 Last year, after we layered the Bay laurel clone, we changed its shape and carved an uro in the the point from where was detached the new bay laurel tree. In spring, when the warmer days began, the top branches were pruned off to reduce its height and we treated the jin with diluted Lime Sulfur against scale, black-spots and rust. 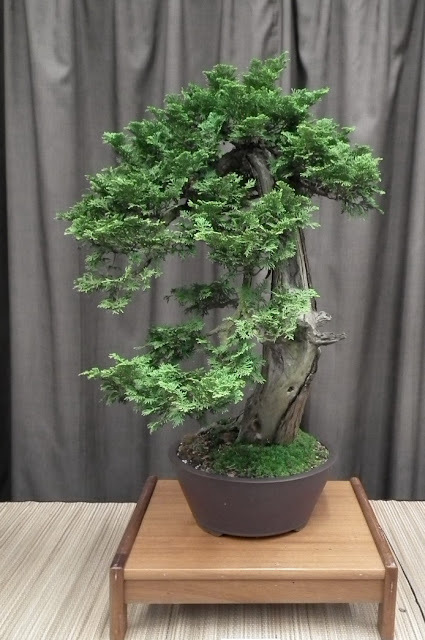 We decided to let the branches that start at roughly one-third of trunk height and smooth shaped the ugly scars from the trunk. 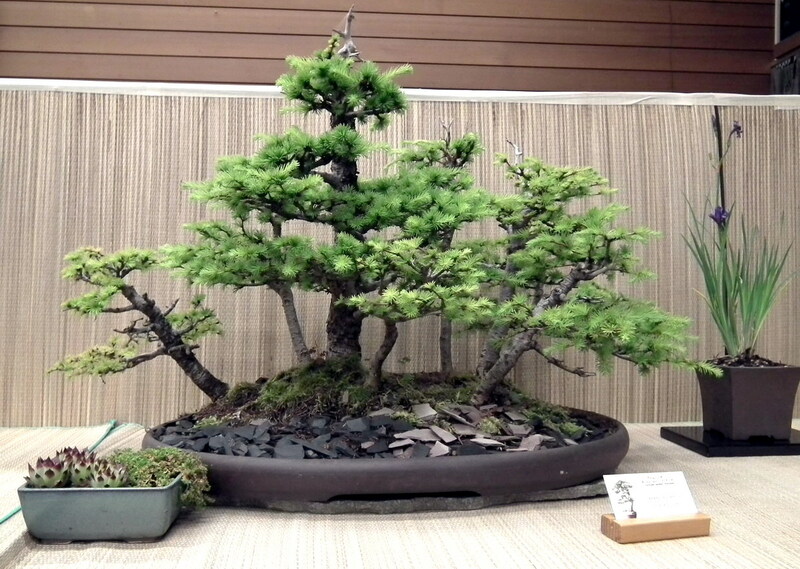 Actually a large part of the tree was deadwood (bark stripping) to shape it in "Sharimiki" / driftwood bonsai style. 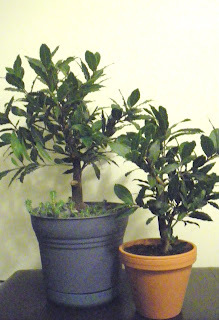 Then, we pruned its old large foliage to obtain a smaller crop of new leaves. It is a variety of scented pelargonium emanating an abundant cinnamon scent from its leaves at any touching of the wind, reminding us the sweet flavor of the apple pie with cinnamon or the cinnamon sugared apples - one of our favorite dessert since childhood. 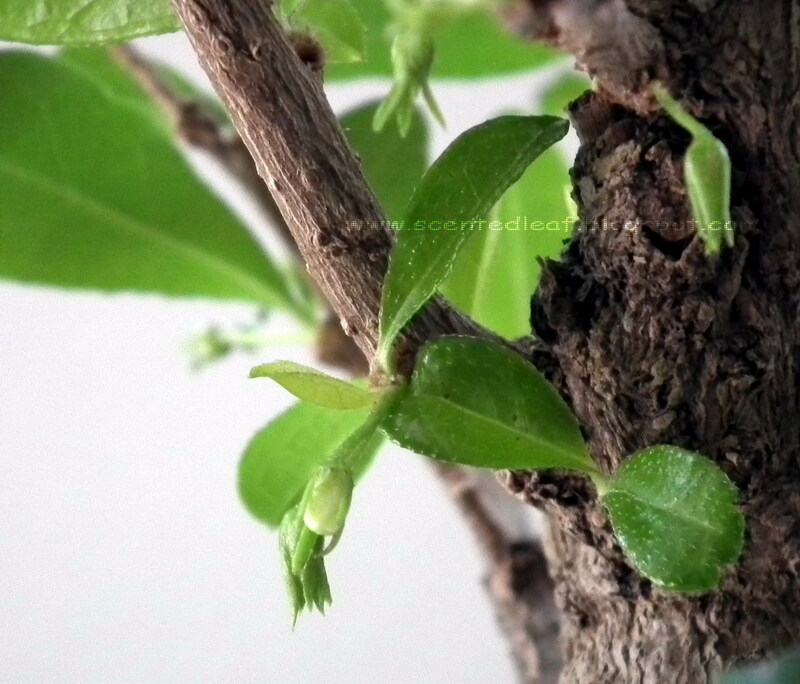 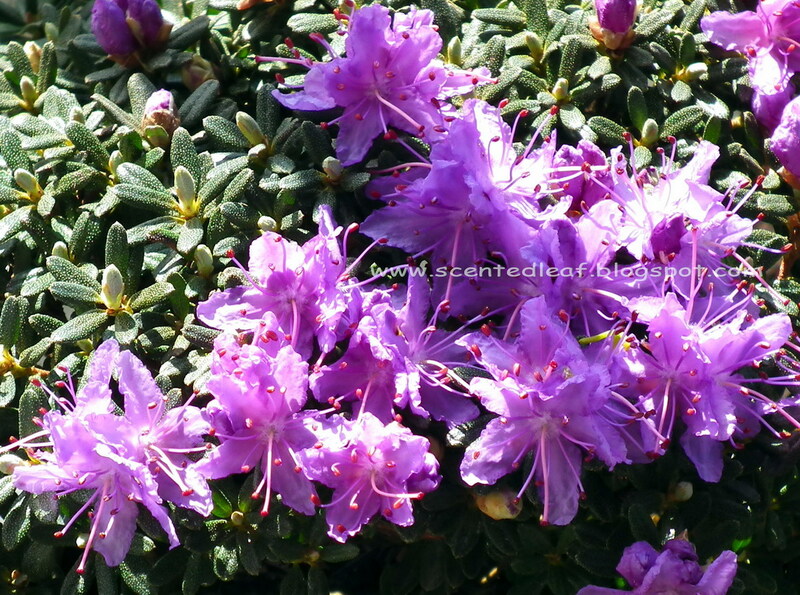 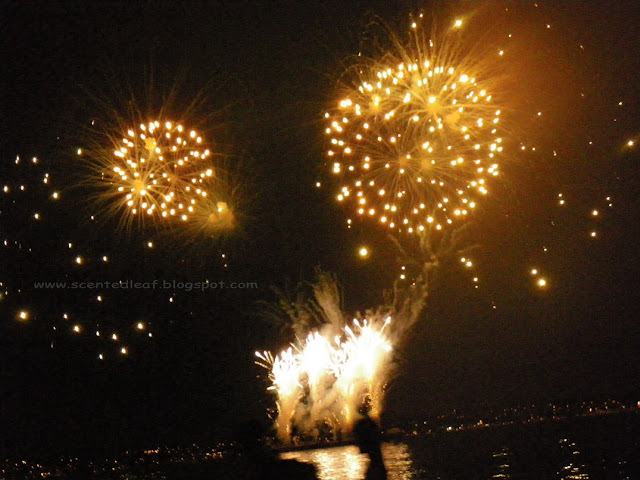 It is a very compact and dense plant, with woody stem, growing slowly in a form of the column. 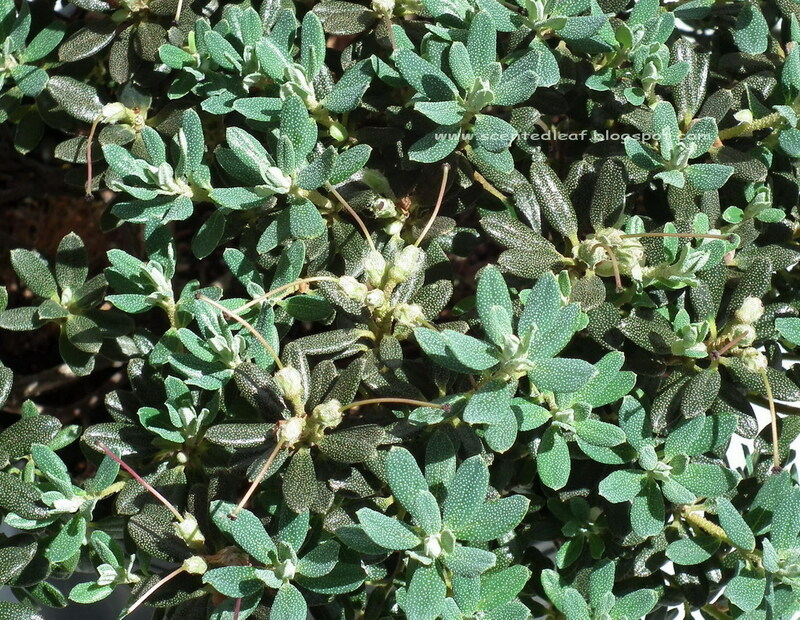 It is an evergreen plant with velvety silver-green leaves and small almost white flowers which are blooming repeatedly all the summer - unfortunately the flowers are sterile and the plant does not set seeds - so this plant may be propagate just from softwood and semi-hardwood cuttings. 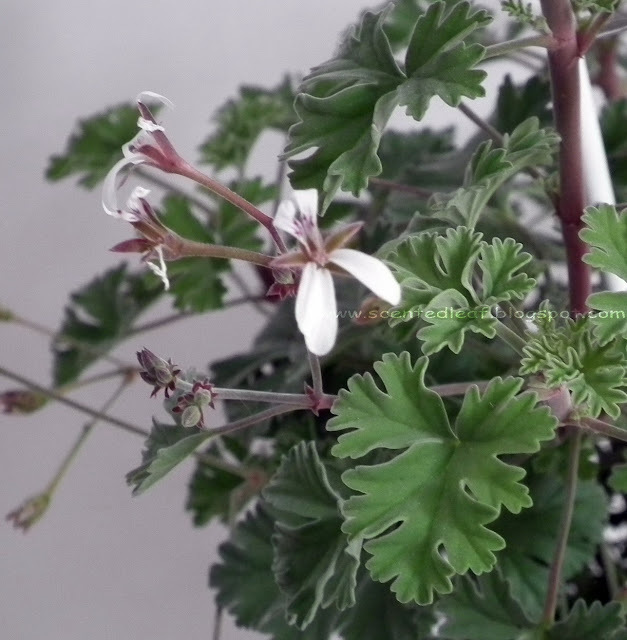 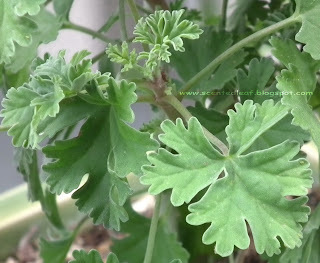 This variety of pelargonium with scented leaves is suitable for growing indoor or outdoor. I kept this one close to the window over the winter, then I moved it outside once the sunny days began. 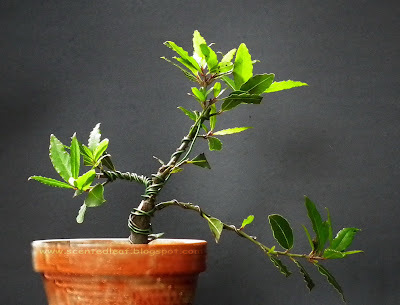 I trimmed the inner leaves at the base of the branches from time to time - good opportunity to try them in my recipes - just to savour the fancy cinnamon smell in my cakes. Although I'm looking almost every week at its progress ... 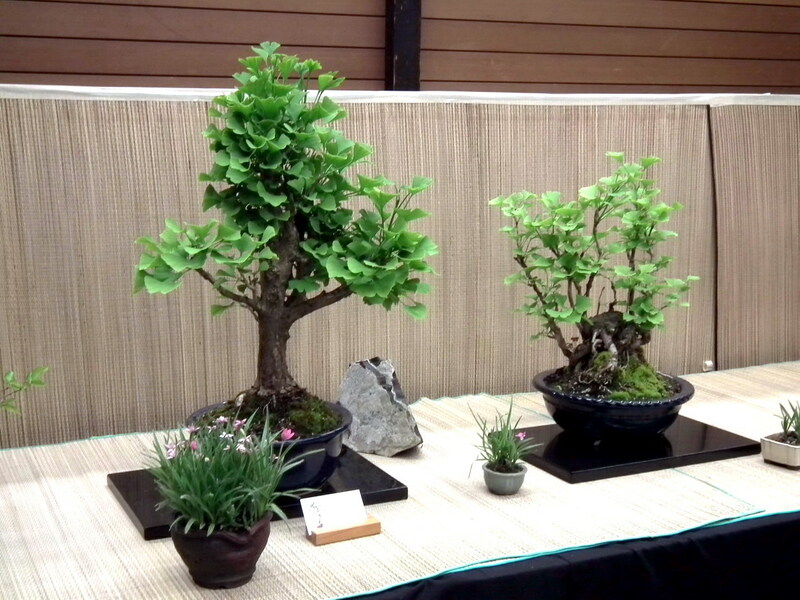 I am not decided yet which bonsai style is the most suitable for its habit. 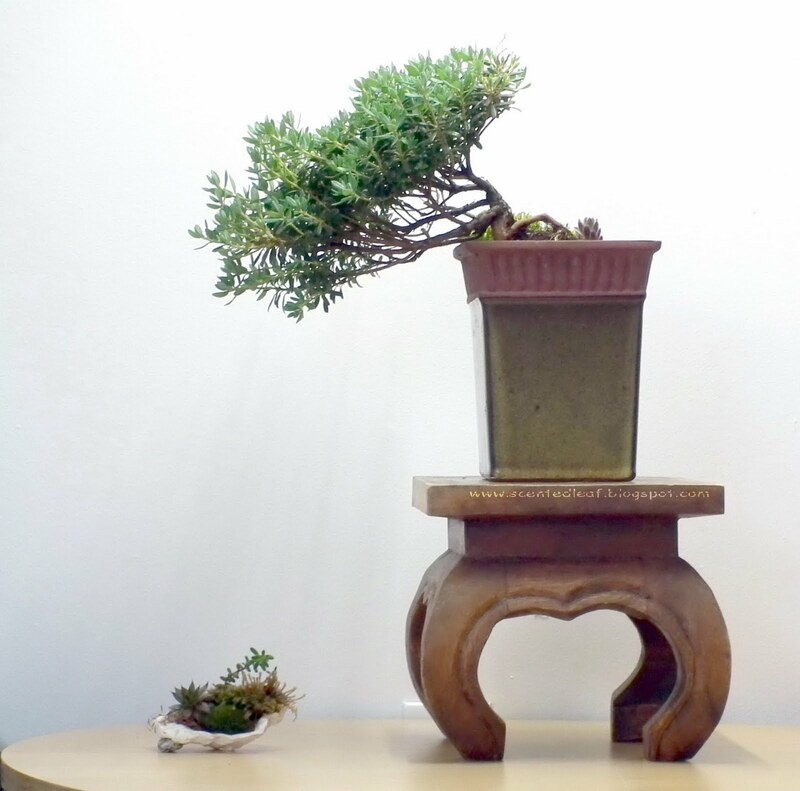 Few months ago, we found an almost "petrified" bonsai in one of our visits at Rona stores. 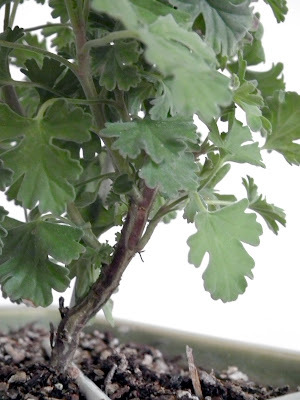 Well, yes, seems unbelievable, but the plant was totally uprooted from pot, with tips turning black and many leaves already drooped, while the others were yellow - brown. On the trunk were two ugliest wounds and the bark seemed to be petrified... 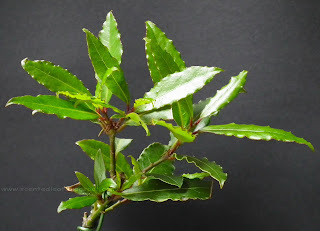 Although the plant was unlabelled, we recognized its leaves as Fukien Teas'. Although it was in such a bad shape, because the trunk had such a bizarre form, like any bonsai enthusiasts who enjoy a challenge, we decided to take it home. Fukien Tea (Carmona microphylla) is an evergreen tree originating in China, with small, shiny dark green leaves if is well cared. 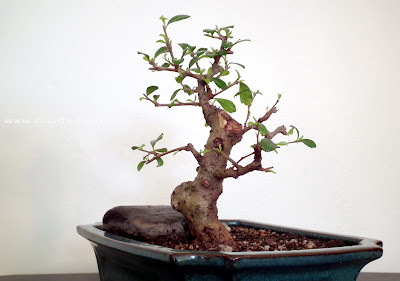 Fukien Tea has light brown bark that begins to crack with age... and judging the cracked look of its bark and the more than 3 cm dimension of the trunk at base, this one is old enough. 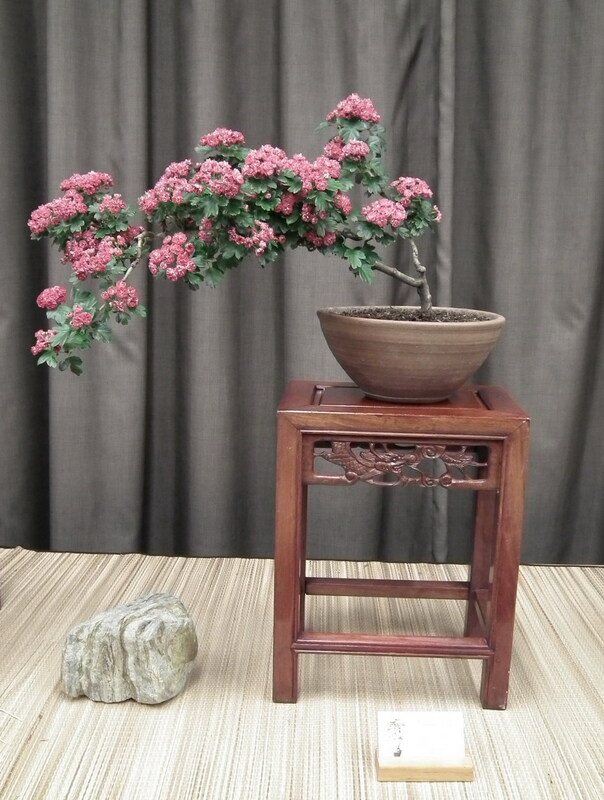 Now and then, and especially in summer months, Fukien Tea tree produces miniature white flowers followed by tiny round green, red or black berries. 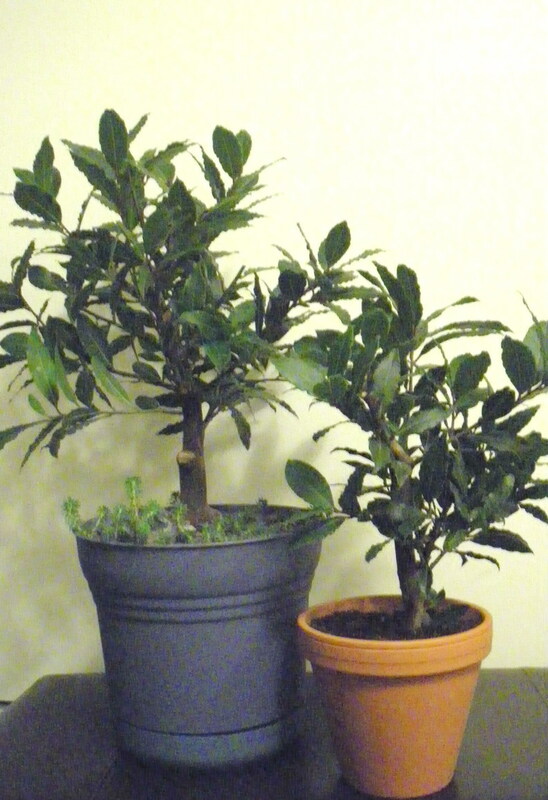 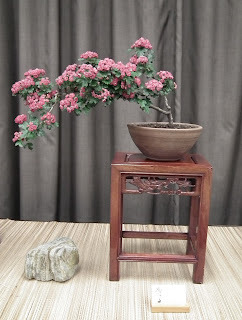 It make a great indoor bonsai all year round, nice to care and trouble free from insects and diseases. 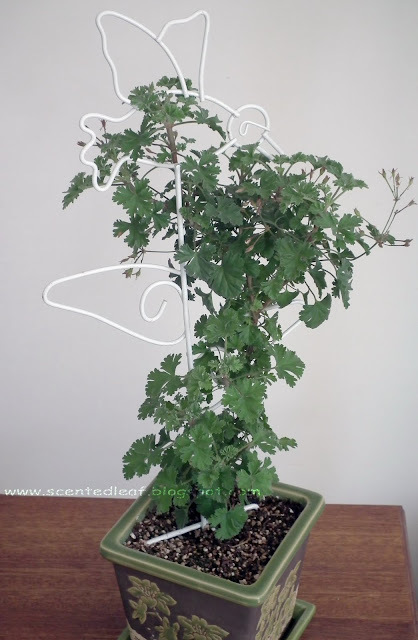 This one has a lot of flower buds and I'm waiting to see it in bloom. 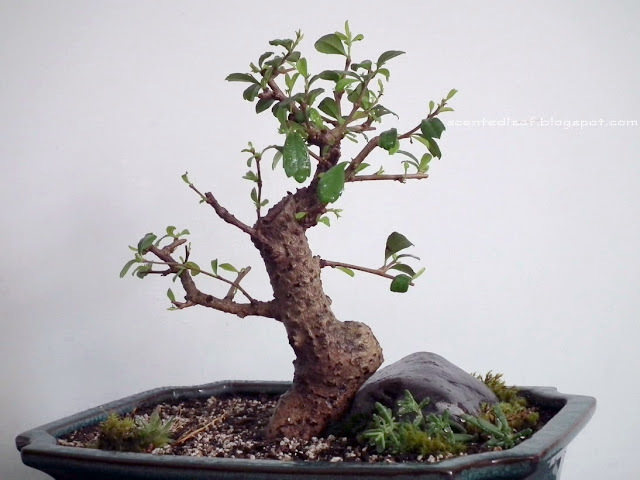 First time when I saw its trunk, my thoughts were flying to the Sudowoodo character, one of our favorites from poke-world ;-) ... so we re-stylized its shape in a "Sudowoodo bonsai". 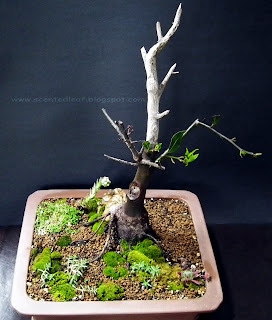 I was influenced in this decision also by the petrified look of the plant when we purchased it - similar with Sudowoodo's which has a plant-like appearance but it is closer to a rock than a plant. 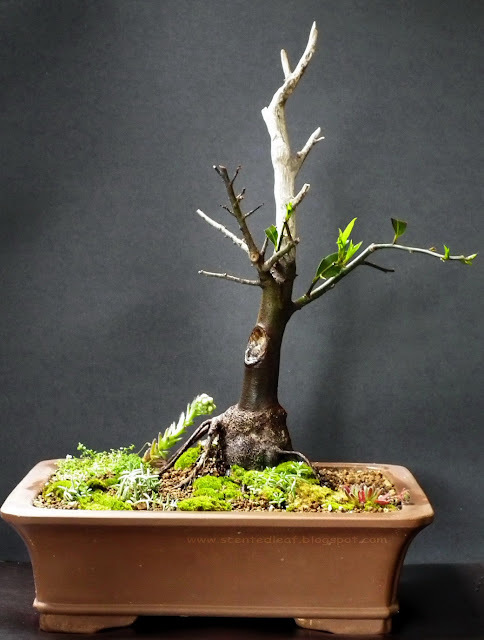 We re-potted (better said we planted it, because its dried roots were uprooted from pot) the plant in a big bonsai pot (20cm x 25 cm), cleaned the dried and affected foliage and applied few days a pest and disease treatment with a mix of chamomile tea and Hydrogen peroxide. 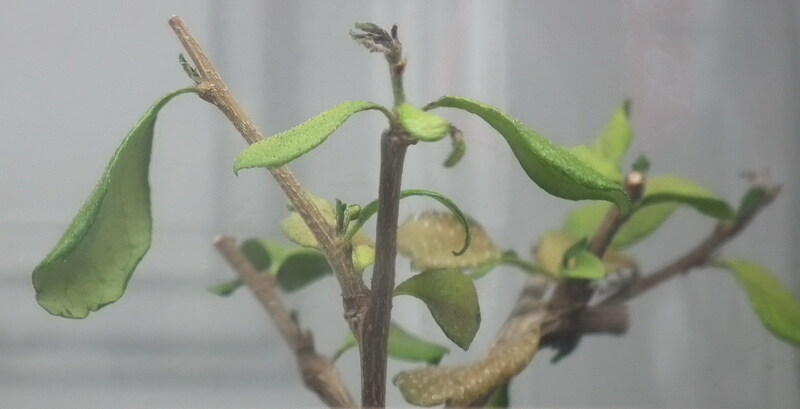 Few weeks later, once on the branches appeared new shoots, we were sure that the plant was save it. And when the new foliage started to grow, we started shaping the first stage of the trunk, giving it a new look. First we cut it down the driftwood and trimmed the opposite branches. We let a trimmed branch on top of the log-shaped trunk, and two branches as hands. 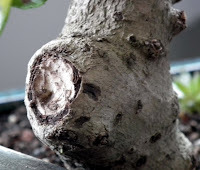 It was a decision for us to take about the angle of the trunk and how much to carve the wounds.When we finished the transformation, we reapplied the pest and disease treatment and fed the plant. 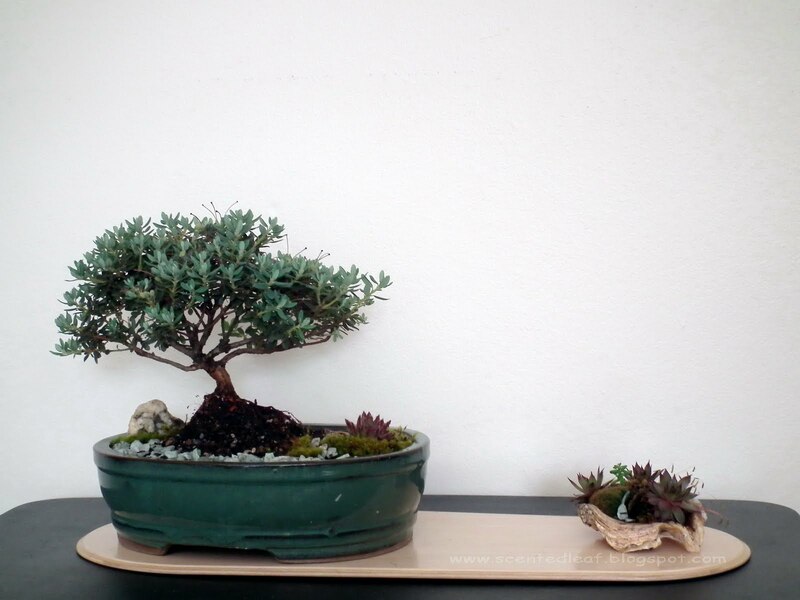 Don't you think that looks like a Sudowoodo bonsai? 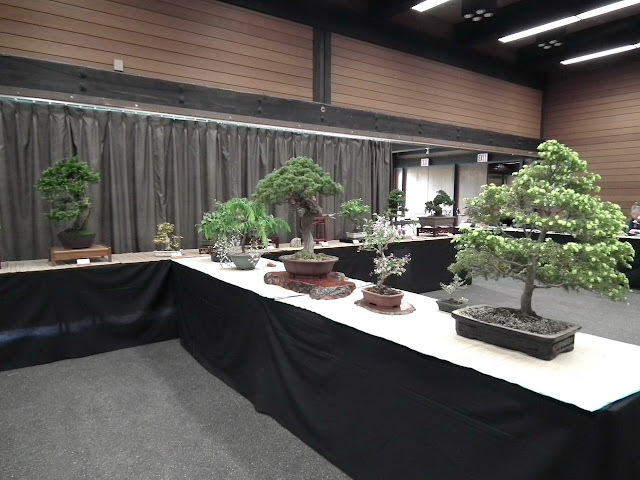 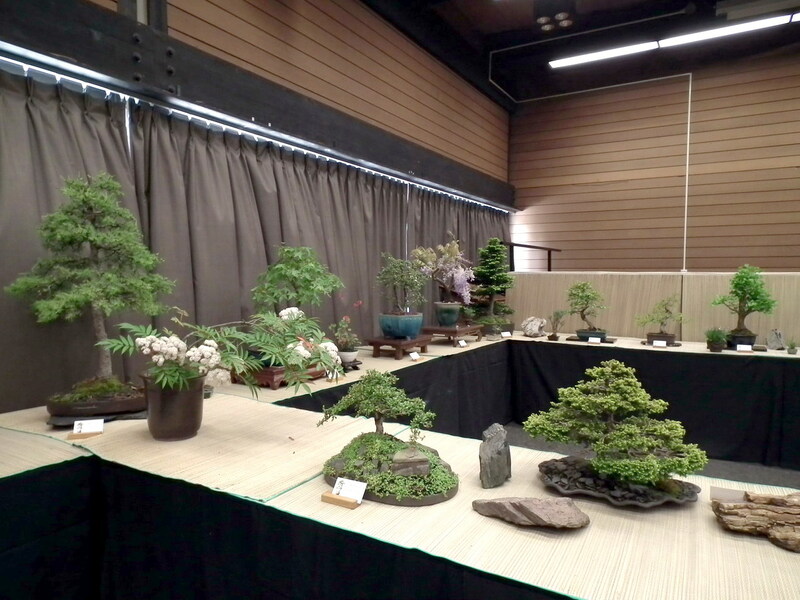 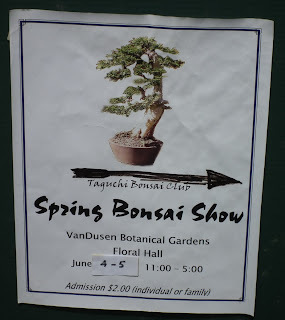 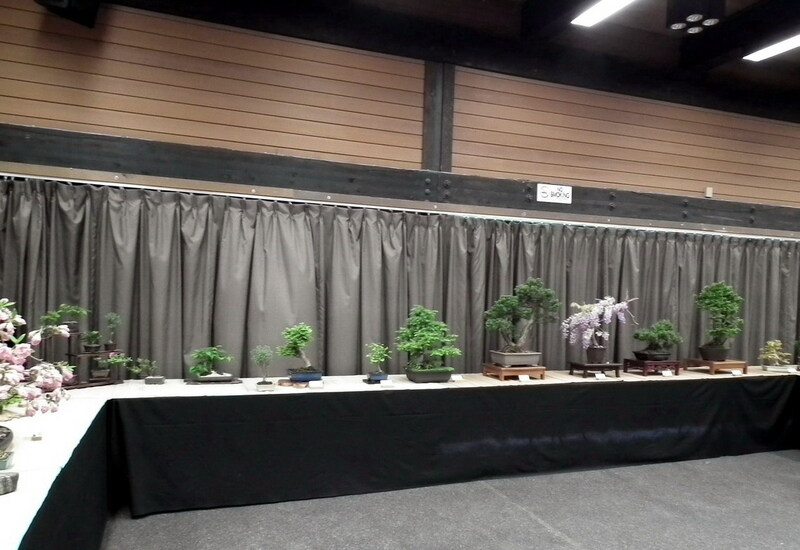 This past weekend, on 4-5 June, the Taguchi Bonsai Club of Vancouver presented its 2011 spring show at Vandusen Botanical Gardens - Vancouver. 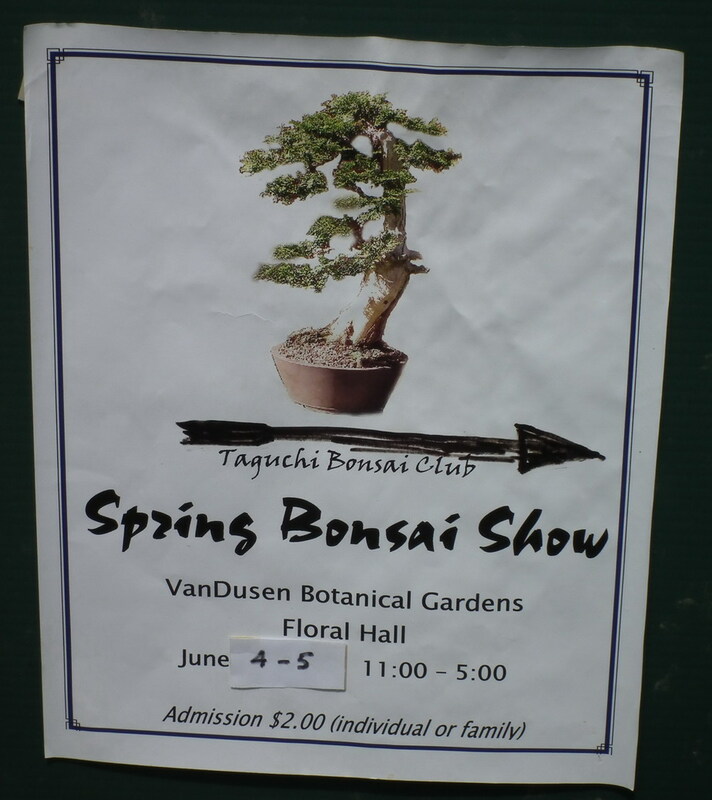 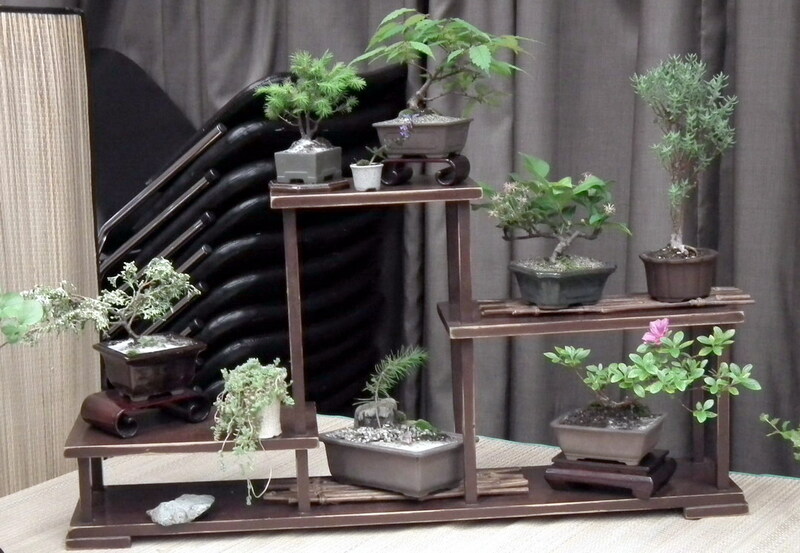 Members of the Taguchi Bonsai Club were on hand to answer questions, showing off their work. 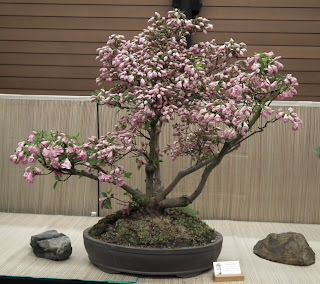 Flowering bonsai in bloom like: Satsuki Azaleeas, Korean Lilac, Wisteria, Fuchsia and Cotoneaster.